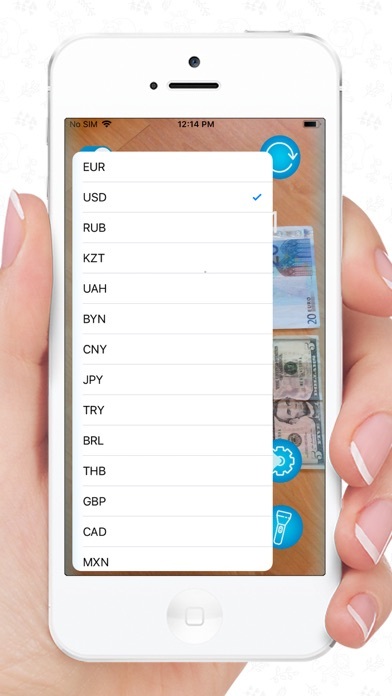 Currency support: dollar, euro, Russian ruble, Belarusian ruble, hryvnia, tenge, yuan, yen, etc. 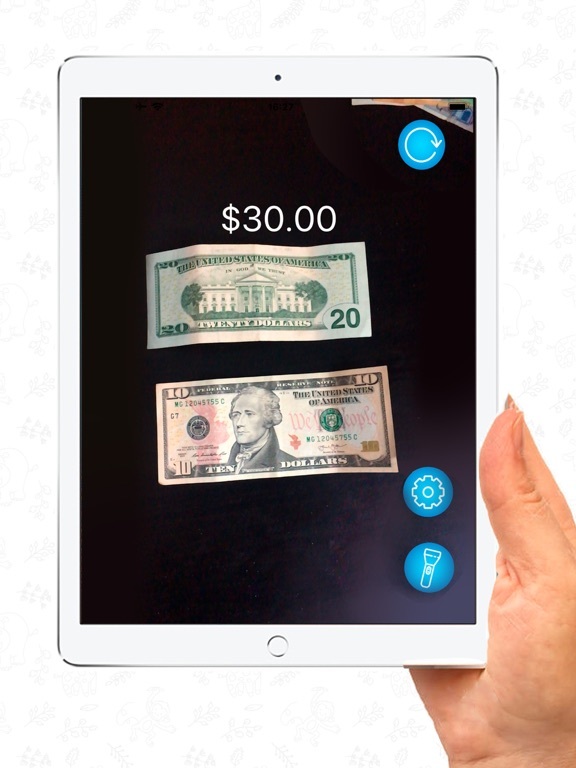 GMoney instantly recognizes currency and speaks the denomination, enabling people experiencing visual impairments or blindness to quickly and easily identify and count bills. 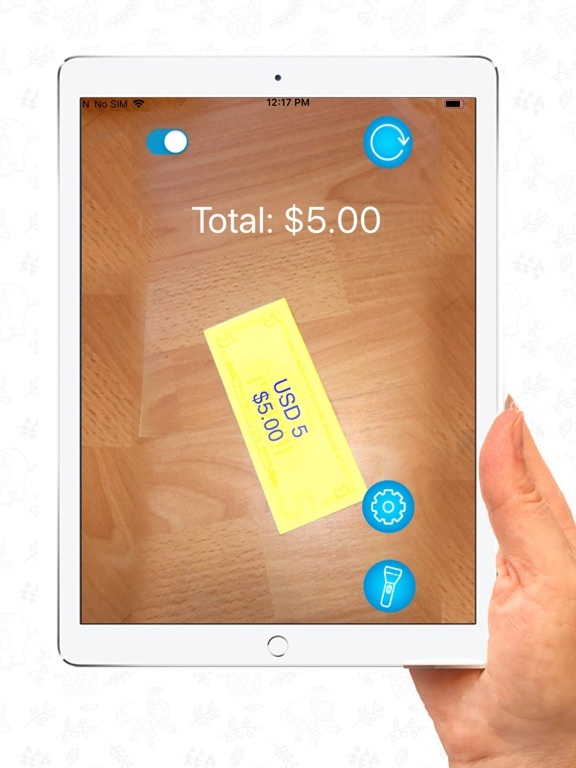 Point the camera of your iOS device at a bill and the application will tell you the denomination in real-time. 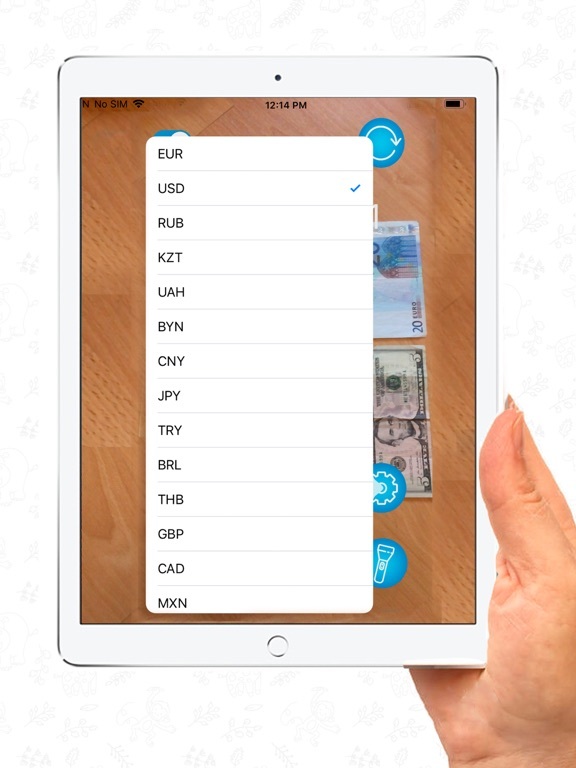 Ten currencies are supported: the US Dollar, Australian Dollar, Belarusian Ruble, British Pound, Canadian Dollar, Euro, Japanese Yen, Mexican Peso, New Zealand Dollar, Russian Ruble, Singapore Dollar. 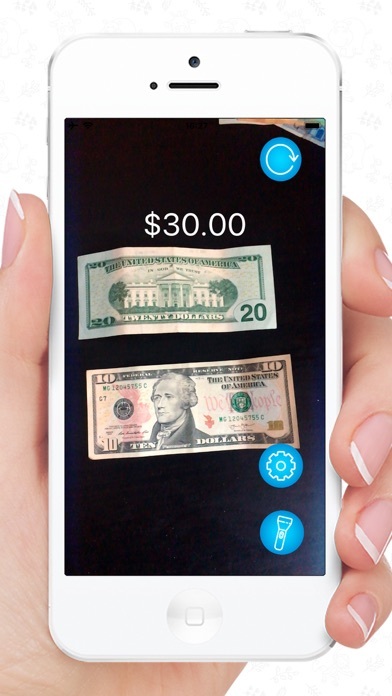 GMoney makes it as easy to recognize bills as possible. There’s no need to hold the iOS device still or capture a photo and wait for a result. Recognition happens instantly--in real-time. 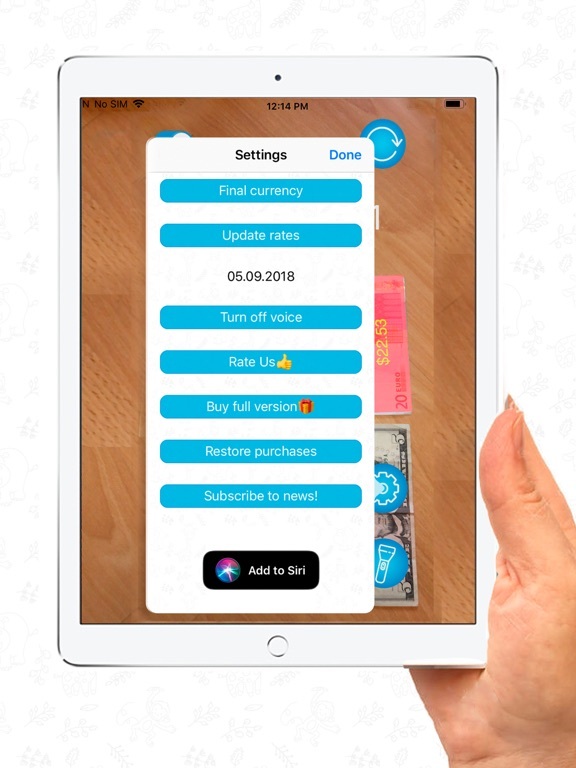 The app does not require an internet connection, which means it will read money at any location, and at anytime. GMoney is a helpful mobile assistant that’s simple and easy to use. 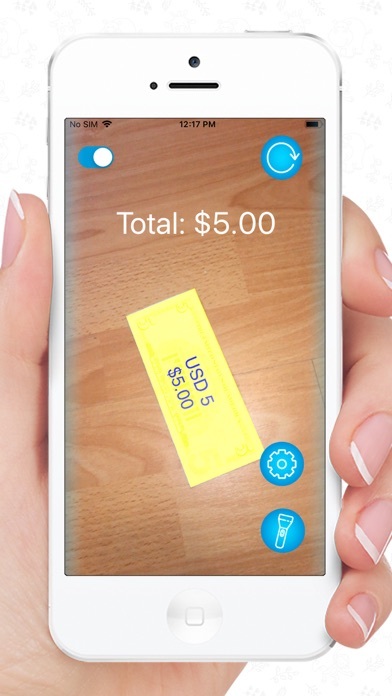 While shopping, use the application to verify money while checking out or to ensure you are getting the right amount of change back. 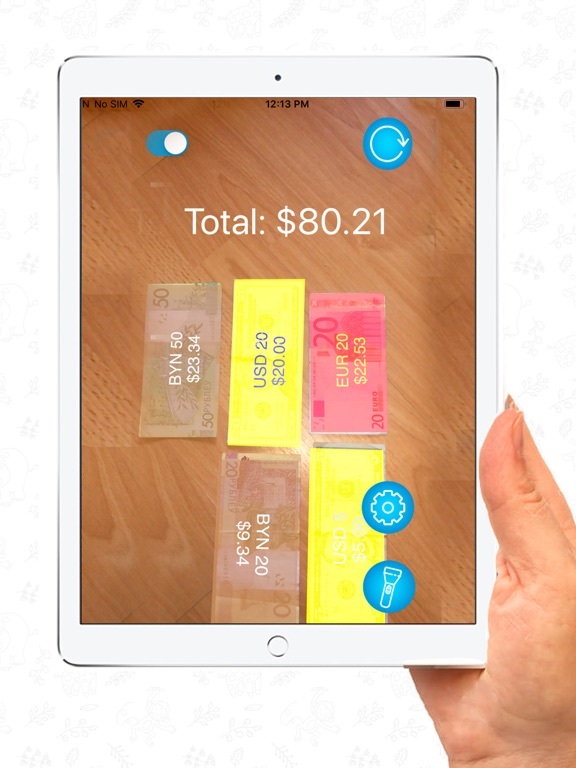 It can be used to quickly and easily sort money with independence and confidence. 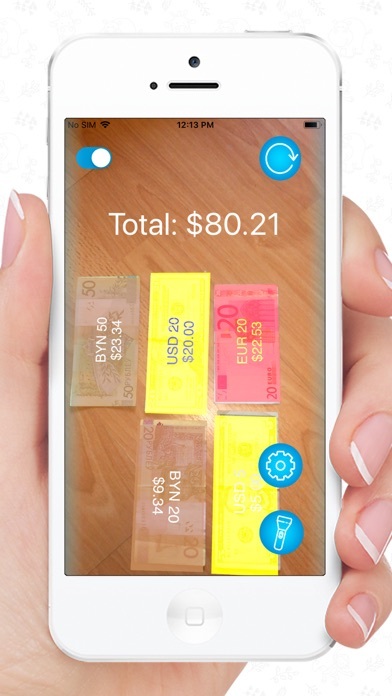 The denomination is also displayed on the iOS device's in high contrast large numerals, for those having sufficient vision to make use of the display. 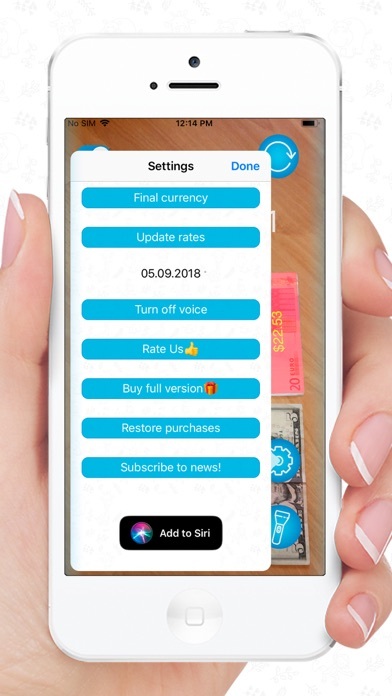 GMoney provides Voice Over support for several languages including English, Spanish, French, Italian, German, Polish, Portugese, Russian, Korean, Finnish, Danish, Swedish, Norwegian, Japanese, Greek, Hungarian, and Mandarin.